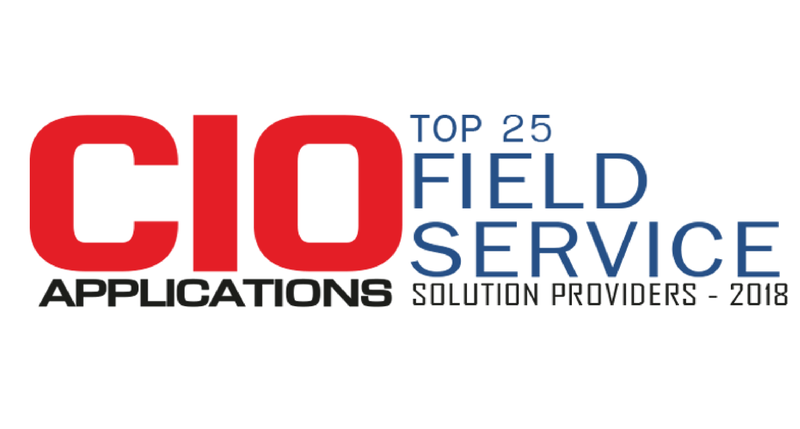 FranConnect, the leading provider of franchise management software solutions, has been named to CIO Applications magazine’s “Top 25 Field Services Solution Providers 2018” list. The list, which appears in CIO Applications’ November issue — the Field Service Special — recognizes top providers in the field service sector over the past year and is compiled by a panel that includes CIOs and the CIO Applications editorial panel. The CIO Applications magazine focuses on technology innovations. “With constantly developing technology and strategic stances, field service providers are witnessing an all-new pace of the industry growth that keeps them on the edge of rendering constant optimization cycles to the best in the market,” the magazine wrote about the list. Franchise suppliers are recognized for their business and industry knowledge. Companies who made the 2017 list include Dispatch, ClickSoftware, GammaTech and TrackTik. Other industry players that made the 2018 list include Accruent, ByBox, FieldEZ and Integrated Communications. FranConnect President of Franchise Operations and Chief Marketing Officer Keith Gerson is thrilled by the inclusion. Founded in 2000, FranConnect provides more than 700 franchise brands in 17 countries with franchise management software tools. The company helps approximately 140,000 franchises, has 600,000 owner generated leads and has collected more than $1 billion in royalties. FranConnect only works and develops products for franchise brands. The company’s franchise software products include the FranConnect Sky Info Manager, which helps users manage information across their systems, the FranConnect Sky Field Ops, which allows franchisors to manage franchisee compliance and the FranConnect Sky Royalty Manager, which helps with royal reporting. Inclusion on the CIO Applications list marks a very fruitful, event-filled year for the brand. In March, FranConnect announced that market research provided by a third-party analytics firm they engaged confirmed that FranConnect’s customers grow 44 percent faster than the broader franchising market. The research analyzed more than 6,000 FDDs between 2015 and 2017. In August of 2018, FranConnect was voted #1 in Entrepreneur Magazine’s inaugural Top Franchise Suppliers list, which ranked the best partners, suppliers and vendors in the franchise industry. In September, FranConnect promoted Gabby Wong to CEO, a role she will assume in mid-2019. In the meantime, Wong is serving as President of FranConnect. As President, she is leading product management, strategy and development, as well as customer operations.